Explore one of the world's highest lakes and one of the most sought-after ancient cities in one trip! Begin your 9-day journey in Lima for a one-day tour through historic centers, archeological sites, and colorful streets. After you've discovered the best of Lima, you'll hop on a plane to Cusco, the historic capital of the Inca Empire, to wander the traditional markets full of culture and color. Explore the Sacred Valley and visit the oldest continuously occupied town on the American continent, Ollantaytambo. Rise early and you'll be rewarded with a sunrise view of Machu Picchu. One of the Seven Wonders of the World, this ancient site is truly incredible. 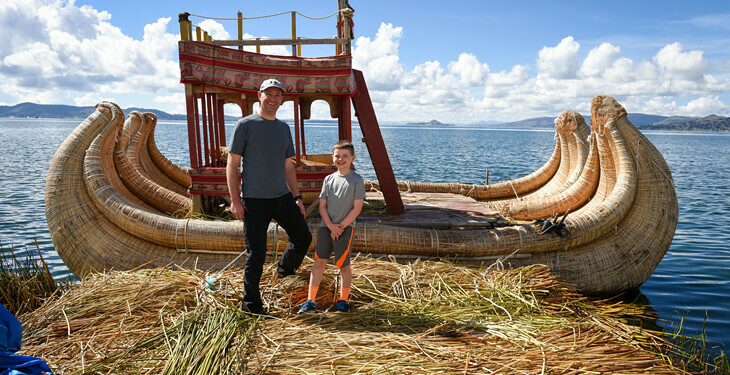 Visit Puno and Lake Titicaca, one of the highest lakes in the world, and see first-hand the intricate floating islands of Uros. 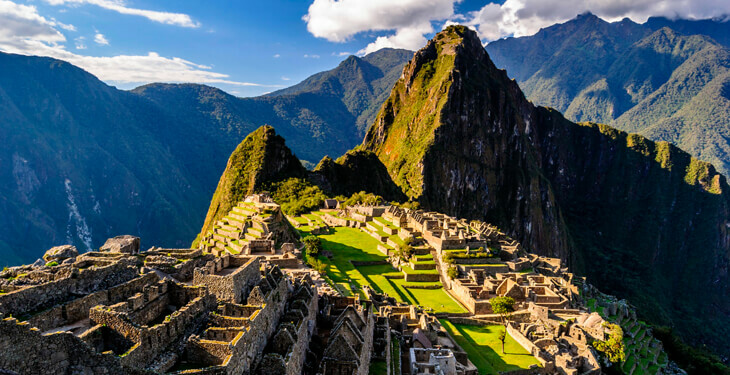 You'll be fully immersed in the vibrant Peruvian history and culture by the end of this 9-day adventure! This morning you'll make your way to Cusco. A representative of Valencia Travel will pick you up from the hotel (time to be confirmed) and take you to the airport. You'll need to depart from Lima no later than 9:00 am. 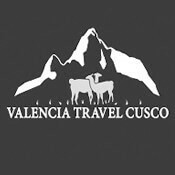 After your arrival to Cusco, Valencia Travel will greet you at the airport and take you to the hotel where you'll meet your guide for a briefing about the wonderful tour that awaits you. After the briefing, you'll embark on a welcome tour of Cusco and enjoy the sights of the capital of the Incas with its indigenous and colonial heritage. In the afternoon you have two options: you can either spend the remainder of the day in leisure (exploring Cusco’s nightlife, sample one of many Peruvian restaurants, and wander through the ancient streets), or you can take a half-day city tour. Wake up and enjoy a nice breakfast before exploring Cusco. Designated a UNESCO World Heritage Site for its history and incredible architecture, this Incan city is full of attractions ready to be explored. 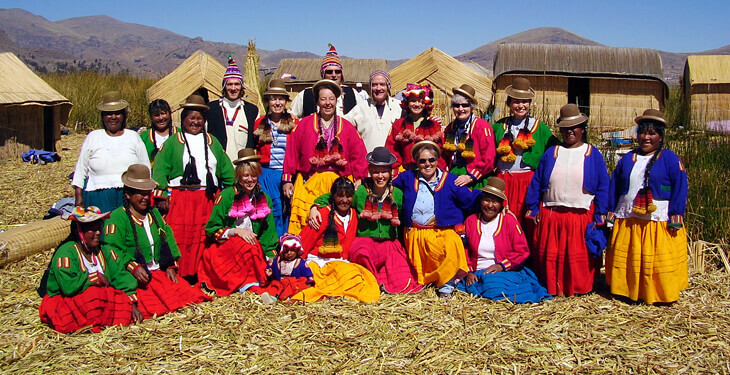 If you wish to join the optional tour to the Sacred Valley, you'll be picked up from your hotel at 8:00 am. 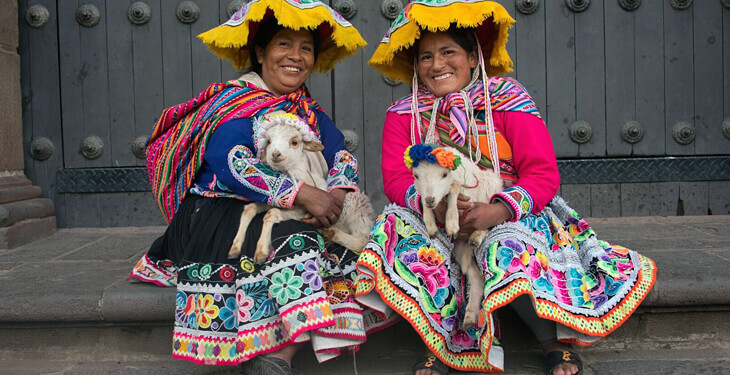 On this full-day excursion to the Urubamba Valley, you'll visit the colorful Indian market in Pisac where you'll be able to appreciate the mixture of color and tradition. You'll stop in Urubamba for a delicious buffet lunch (not included) at Tunupa restaurant, before continuing on to Ollantaytambo. The narrow streets of Ollantaytambo, along with their canals, have not changed much from the time of the Inca Empire. The last visit will be the Chinchero market. Chinchero is believed to be the mythical birthplace of the rainbow. 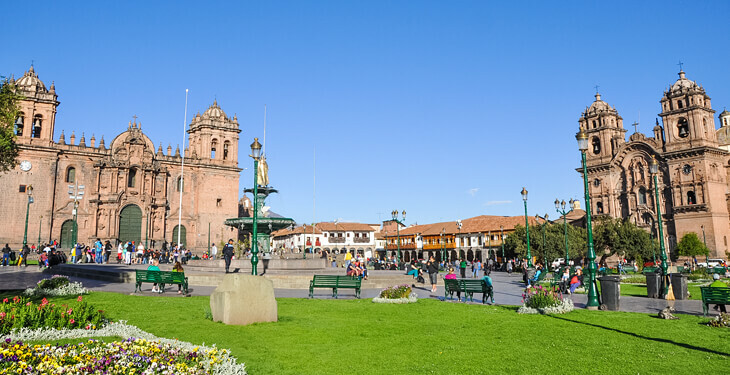 Your guide will return you to the Plaza de Armas in Cusco at approximately 6:30 pm. No matter which option you choose, the night will be free for you to eat out on the town and enjoy Cusco's nightlife. Rise early for an 8:00 am pick up by a Valencia Travel representative who will take you to the train station. The train leaves at 11:30 am (time may change depending on availability and changes to timetable). After a 3.5-hour journey full of majestic views, you'll arrive in Aguas Calientes (Hot Springs Town) where you'll spend the night. There will be plenty of time to relax if you want to have a nice soak in the natural springs (entrance fee to the hot springs is an extra $7 per person or S/.20 PEN). If you'd rather explore the town itself, you can also visit the Machu Picchu Manuel Chávez Ballón museum and orchid exhibition. It is a very illustrative museum that gives an interesting introduction to Machu Picchu. Rise for an early breakfast before your pick up at 5:40 am. You'll take the bus up to majestic Machu Picchu to catch the sunrise, and then begin your walking tour (approximately 2 hours) with your guide. After, you'll have some time to explore the mysterious city on your own. Take one of many buses back to meet your guides in Aguas Calientes for lunch and to collect your train tickets back to Cusco. You'll then take the train from Aguas Calientes to Ollantaytambo, followed by a bus from Ollantaytambo to Cusco. •Andahuaylillas: The sistine chapel of South America. This church is one of the most beautiful examples of Andean popular religious art. •Raqchi (Wiracocha God Temple): This was an Inca church of monumental dimensions; 328 feet long, 85 feet wide, and 45 feet high. The temple is divided in two naves and each nave has 11 giant columns. •La Raya: This is the half-way point between Cusco and Puno and also the highest point (14,222 feet above sea level). The landscapes here are stunning and typical Andean animals like the llama, alpaca, and vicuña are common sights. It is also the geographic border between two cultures - Quechua and Aymara. •Pukara: This is the most important and oldest ceremonial center of the altiplano. There are interesting lite-sculptures and tombs. Upon arrival to the bus station in Puno at 5:00 pm, you'll be taken to your hotel where you'll spend the night and meet your guide who will welcome you. After breakfast, you'll be transferred from the hotel to the port of Puno where you'll board the motor boat to take you to the floating Uros Islands. Your guide will explain a little about the history and lifestyle of the people who have lived on these islands for many years as you visit two of the islands. You'll have the opportunity to talk with the local people and visit their homes to learn a little about their lifestyle. Afterwards, you'll sail towards Taquile Island, which takes approximately two hours. The island is a traditional Quechua speaking community, full of ancient agricultural terraces and some ruins dating back to the pre-Inca times. The weaving tradition of this Island goes back to early civilizations, thus keeping elements of pre-Inca Andean cultures alive in the present. When you reach the island, you'll walk up along a narrow path, enjoying impressive views of Lake Titicaca and seeing gorgeous little houses inhabited by the direct descendants of the Inca culture. After lunch, you'll go down to the harbor to take a one hour boat ride to Chucuito, south of the city of Puno. You'll spend the night with a family in the Karina community on the white sand beach of Lake Titicaca. Today you'll enjoy breakfast with your host family and participate in local activities such as farming and daily living activities. You'll have lunch and say goodbye to the local family before going down to the harbor to take the boat back to Puno, which takes approximately two hours. Arrive back in Puno at around 5:00 pm. You'll have the morning to rest and relax before a guide picks you up from your hotel and takes you to the nearby Juliaca airport (JUL) for your flight home. Please note: If you are flying back to the U.S., you'll need to take a flight back to Lima first. Valencia Travel suggests that you depart from Juliaca airport by 7:00 pm. My husband and I did a trip with Valencia Travel, 12 days in Peru. Our guide from start to finish was Claudio. We cannot say enough good things about Claudio. He was above fantastic!! He met us in Lima and stayed with us all through the trip. He was knowledgeable, passionate about his heritage, caring, considerate, and very conscious of our well-being and safety. His English was flawless. He made the trip for us, particularly for me as I'm not 21 any more! He was always there with his arm outstretched saying "come with me, I will assist you." I was able to do most of the hikes with his assistance. Everything ran like clockwork, the drivers were always on time and very pleasant. It was a great trip thanks hugely to Claudio and also to the organizers of Valencia Travel. Can't wait to get my daughter and her husband signed up!! Hotel, tours, and transportation were awesome. Guides were pleasant. The train service, Inca Rail, was perfect, on time, and the service on board was perfect and comfortable. I will definitely choose Valencia Travel for my next adventure to Peru. Our guide, Claudio, was simply amazing! His knowledge, combined with his obvious pride in his Incan ancestry, added immeasurably to our trip. Plus, every detail of our two-week trip was planned perfectly, resulting in the smoothest travel experience imaginable -- even though it included travel by van, bus, boat and train. And Peru... WOW!!! So much natural beauty to see, fascinating history to learn, and cultural differences to experience! I could not recommend a trip to Peru or traveling with Valencia more highly! Please note there is a two person minimum per departure date. Please wait to make travel arrangements until you receive confirmation from Valencia Travel. Please note each trip requires a minimum of two guests in order to confirm. Please wait to make travel arrangements until you receive confirmation from Valencia Travel. Plan to arrive at the airport in Lima, Peru by 6:00 am on Day 1. A representative from Valencia Travel will meet you at the airport and take you to your hotel. Please note that the trip ends in Puno, Peru. A guide will pick you up from your hotel in Puno and take you to the nearest airport in Juliaca. If you are flying back to the U.S., you'll need to take a flight from Juliaca to Lima first. Valencia Travel suggests that you depart from Juliaca airport by 7:00 pm. Do you have flight recommendations for Lima to Cusco? You need to depart from Lima at 9:00 am and Valencia Travel suggests you book with Latam or Avianca Airline. Please note that the cost of this airfare is not included in the price of this trip and will need to be purchased separately. For flight booking assistance, please contact Valencia Travel. Is it possible to arrive in Lima a day early? Yes, you are welcome to arrive at the hotel in Lima as many days in advance as you wish. Accommodations are $120 USD per night. Please contact Valencia Travel prior to your departure to arrange your reservation. 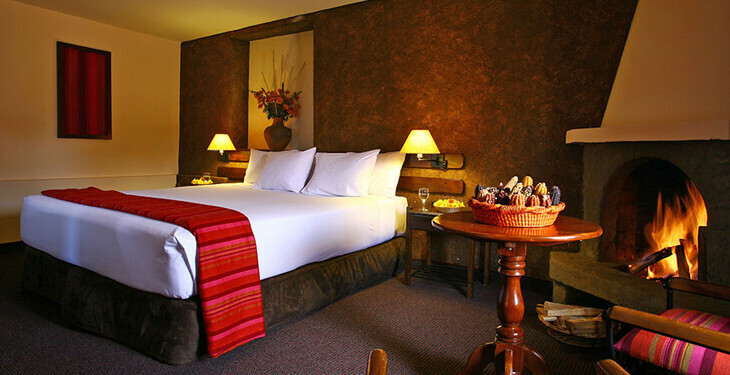 Pricing is based on shared (double occupancy) rooms in three-star hotels. These rooms include two separate twin size beds. The homestay in Luquina Karina on Lake Titicaca is a very authentic experience. You'll be welcomed into the home of a local family for a night and accommodations vary but are all clean, safe, and well vetted by Valencia Travel. For most customers, this unique experience is one of the highlights of the trip. Breakfasts at hotels are included, and served continental-style. Two lunches and one dinner are also included. You'll be on your own for the rest of your meals, so you can sample the Andean cuisine as you wish. You should budget around $800 for food, souvenirs, and gratuities for the trip. If you are an American citizen you do not need a visa to visit Peru. What if I want to change my travel dates? If your reservations are not yet confirmed, you can change your travel dates for a $200 change fee. After your reservations are confirmed, the change fee will be $400.